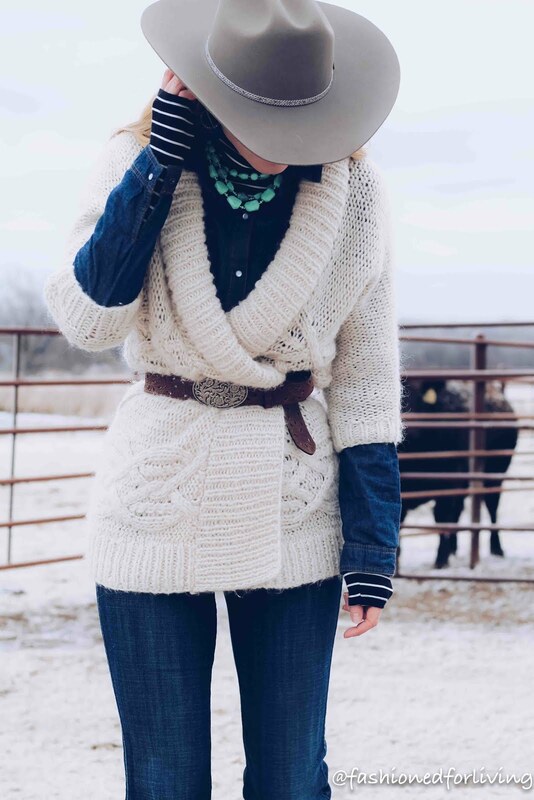 Cozy layers and a cowboy hat!! I love to belt oversized sweaters to give waist definition. 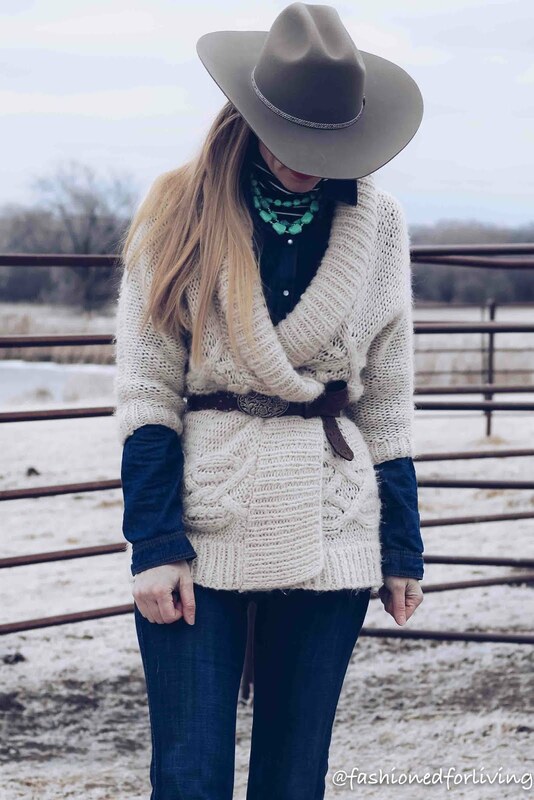 A waist belt can tame chunky sweaters that can sometimes feel messy. 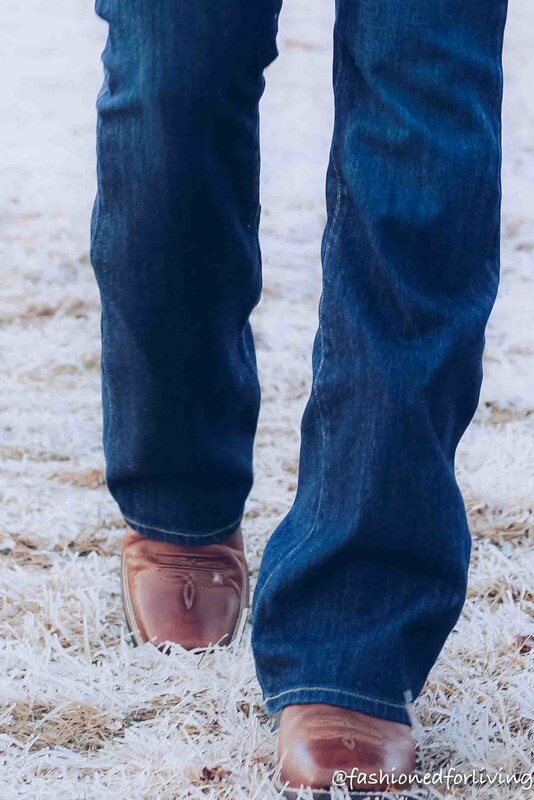 I paired my layers with trouser jeans and cognac square toe cowboy boots. This outfit is perfect to add a pop of color to or keep more neutral like shown here. 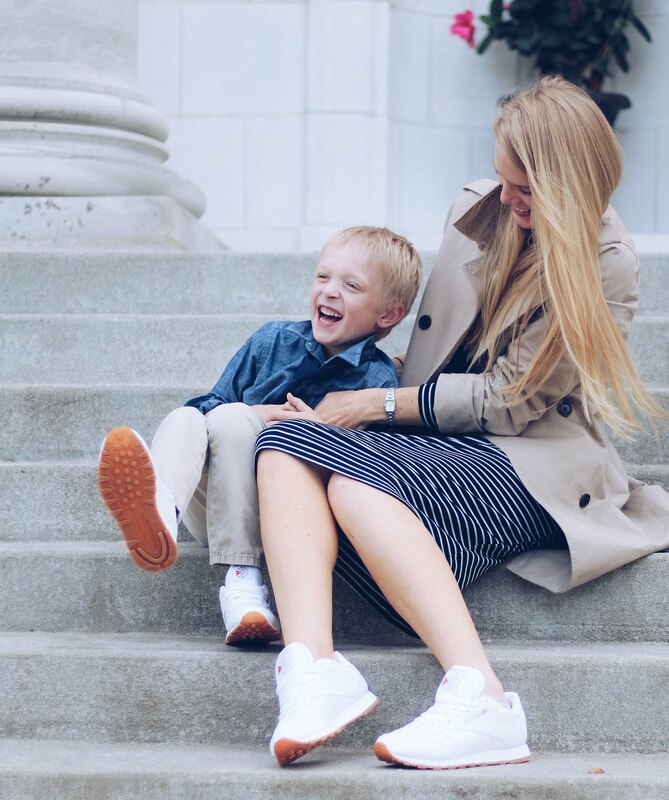 A striped turtleneck and denim shirt are items every girl needs in their closet. I don't feel like you have to splurge on these staples with so many great options available at very affordable stores. Target, Old Navy, H&M, and TJMaxx are my favorites for these pieces. This outfit gives me all the feels!! I just LOVE it so much!! 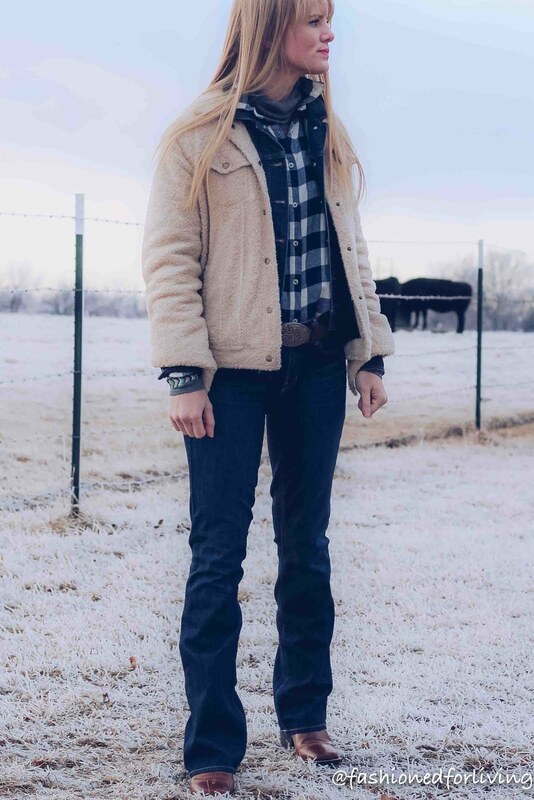 It gives a little nod to retro, 70s fashion with the shearling jacket paired with lots of denim that also happens to be very right now. 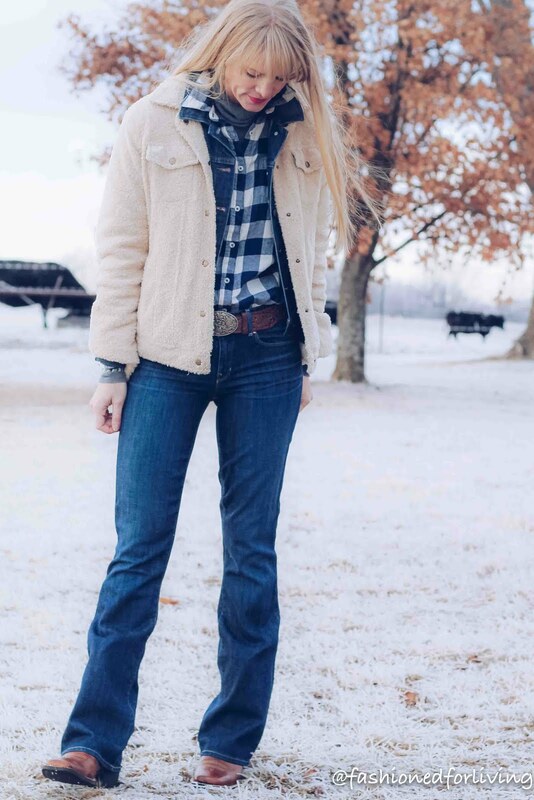 It was extremely cold the day we took these pictures so I piled on the layers with a thin turtleneck and flannel as the base paired with my tried and true Gap bootcut jeans. 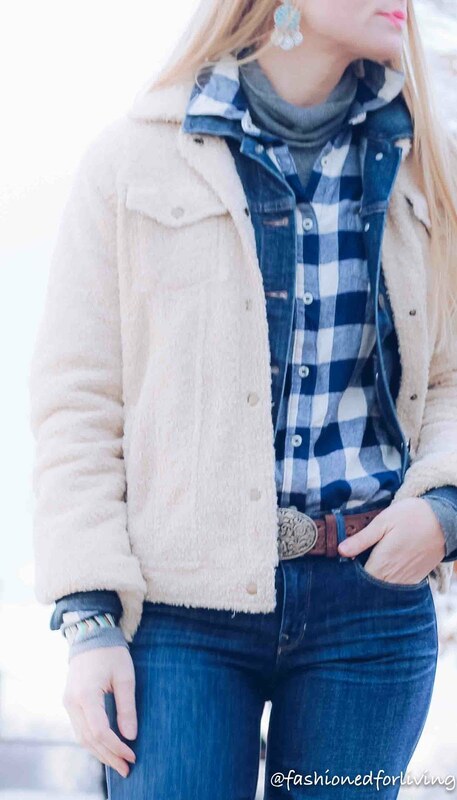 I really dig the layered denim jacket outfit. 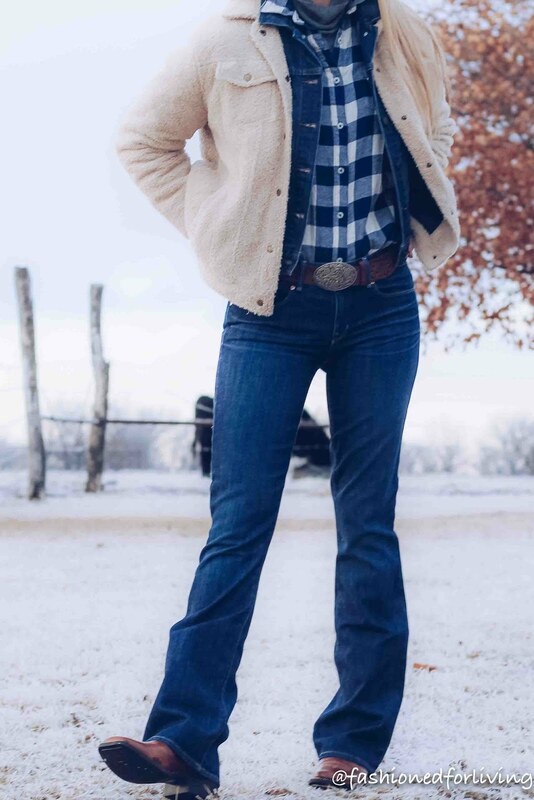 It feels fun and fresh way to wear such a classic item, BUT as the weather warms this outfit can easily be paired down with subtraction of one or both jackets. 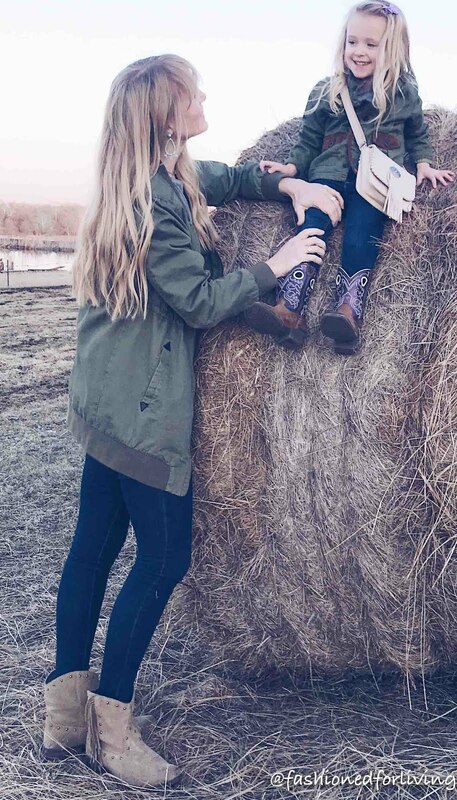 What's your favorite way to wear a denim jacket? 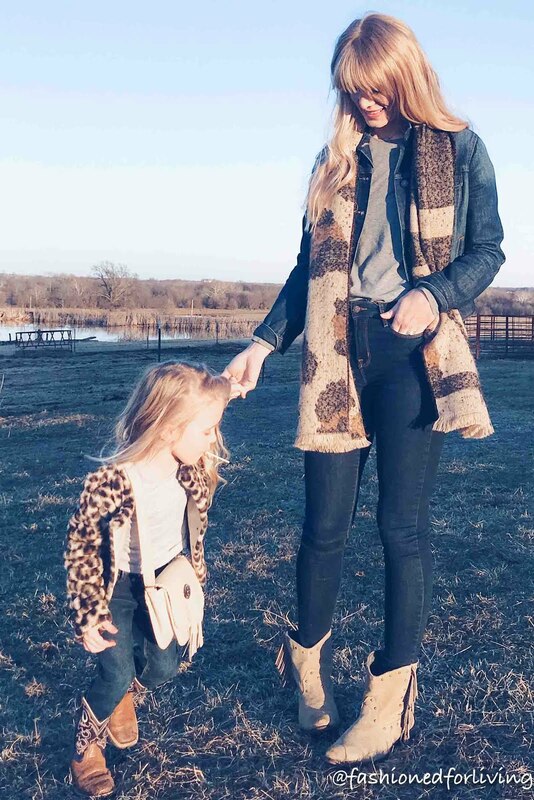 Sharing my most worn and favorite outfits from February. Most items linked will be similar to what is shown. I will note it if the item is the same. A denim shirt dress is a wardrobe staple every girl should have in her closet. You can literally wear it year round!! 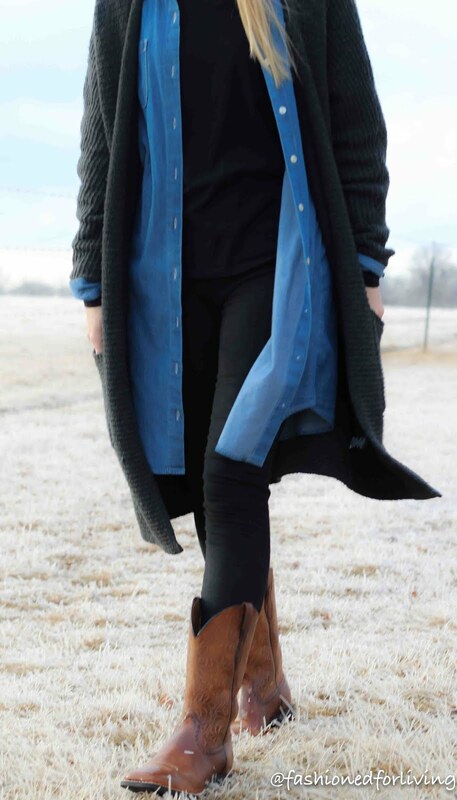 I love wearing it like coat/oversized denim shirt in the winter over leggings just as much in the as I do in the summer with rolled up sleeves and cute sandals!! 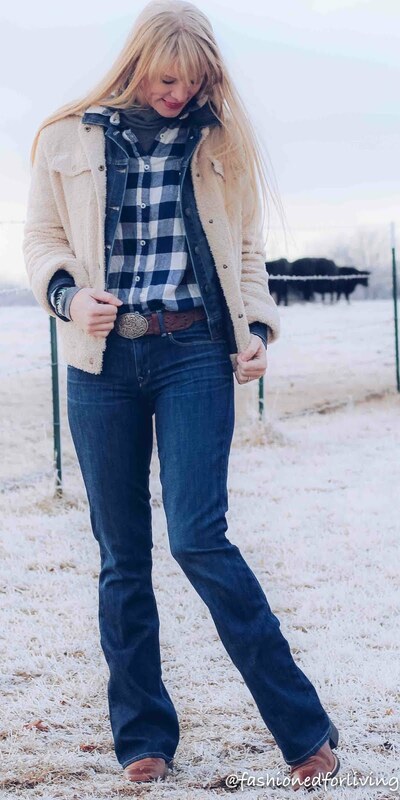 This outfit is so cozy and comfortable for the cold days you don't want to fuss with your outfit, but still look cute!! 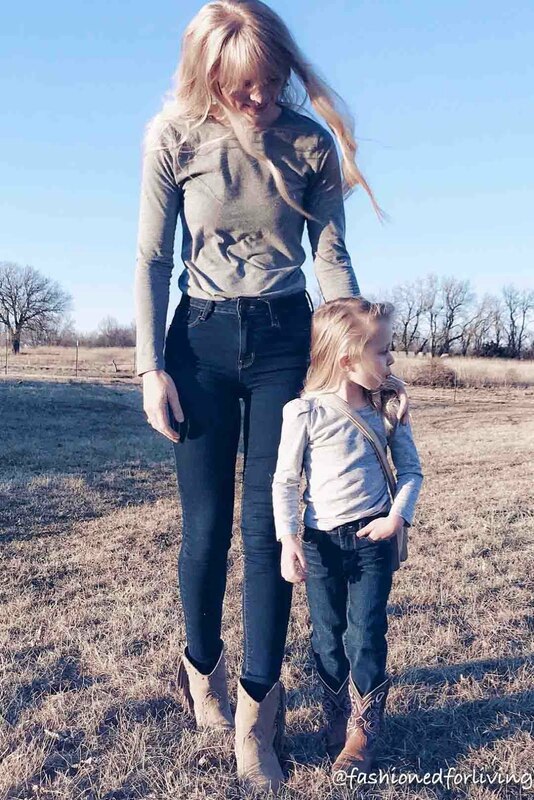 By wearing a black long sleeve tee paired with black leggings it gives a long, seamless silhouette. 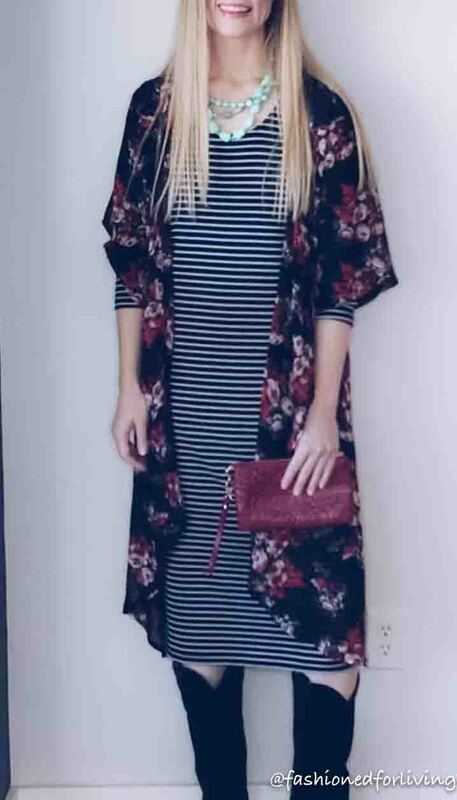 The cardi sweater coat is a great piece for the cooler months, but easily removed for warmer spring weather (bring on spring!!) 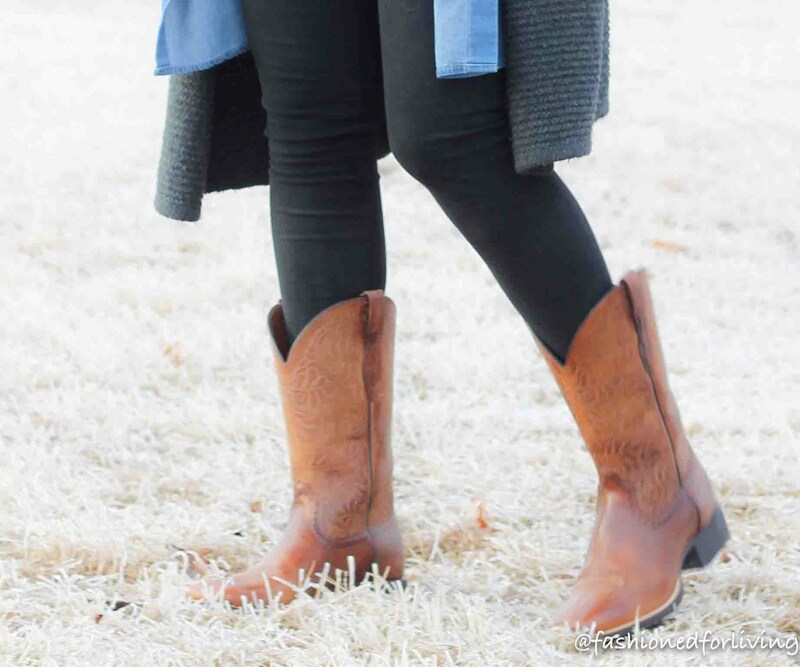 CLICK HERE for more leggings and cowboy boots outfit ideas. 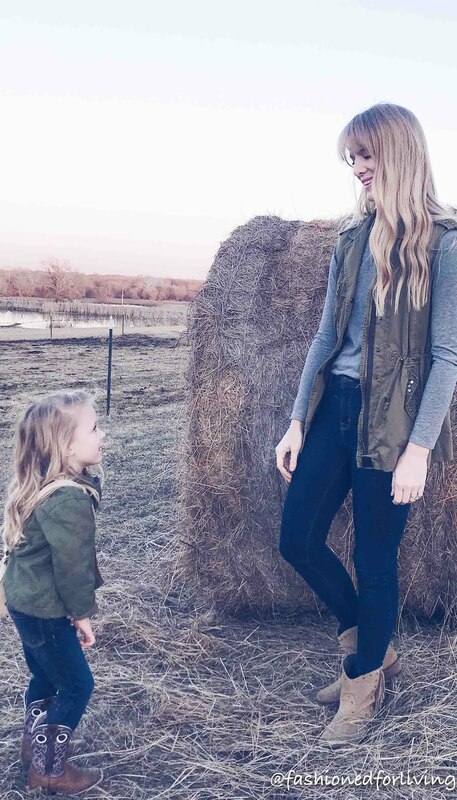 Matching and/or coordinating with my little girl is so much fun!! 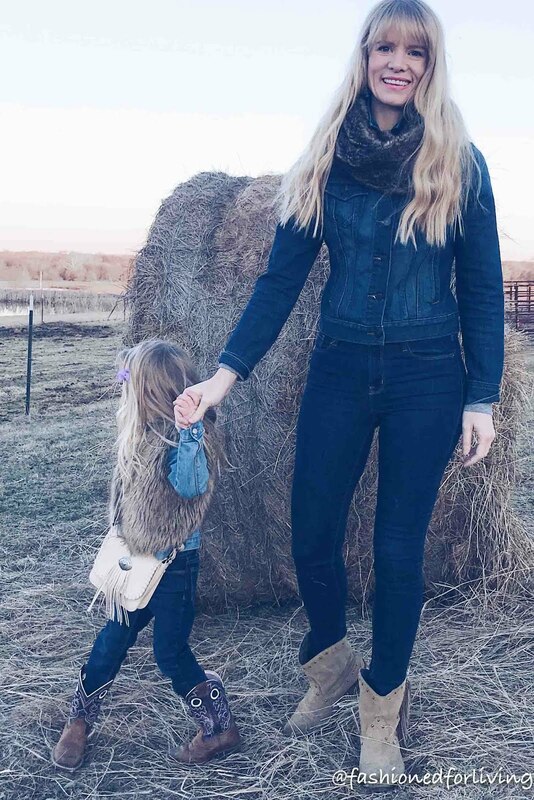 In this video we share how we coordinate with our outerwear pieces for a simple, yet effective way to match your mini with little prior thought or pre planning of outfits. ***I've linked the most similar item to what was shown that is currently available. 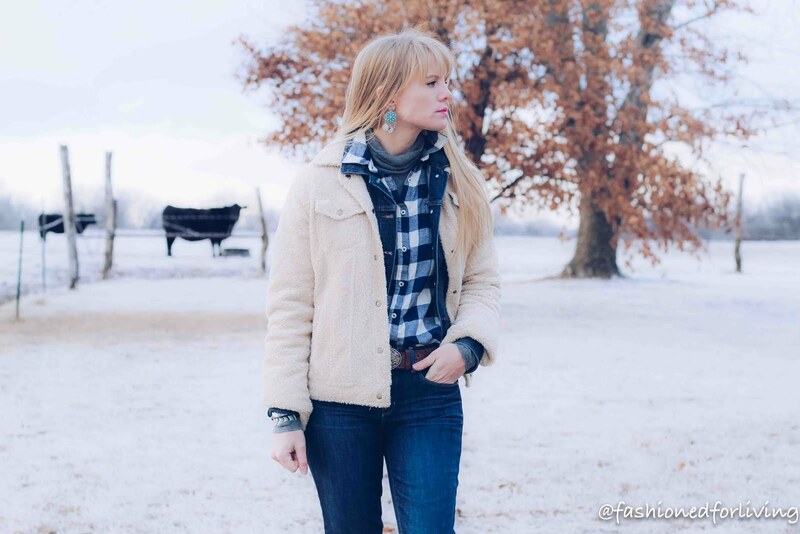 For some of the items like the faux fur pieces Fall is the best time to shop. However, you might stumble onto some amazing end of season deals in store for these pieces.